Another round of rain and storms is forecast to threaten the area Thursday. FOX Carolina Meteorologist Nicole Papay said a flash flood watch has been issued for all Upstate counties excluding Cherokee and Union. The watch also includes all of Northeast Georgia and Henderson, Polk, Macon, Jackson and Transylvania counties in North Carolina. The watch runs goes until 6 a.m. Friday. Papay said fog may also be an issue Thursday morning, then scattered rain and storms likely in the afternoon with the possibility of downpours and flooding. All of this comes after a wet Wednesday, with more than 6'' inches of rain having fallen in the Clemson area, and more than 2'' in Greenville and Spartanburg. 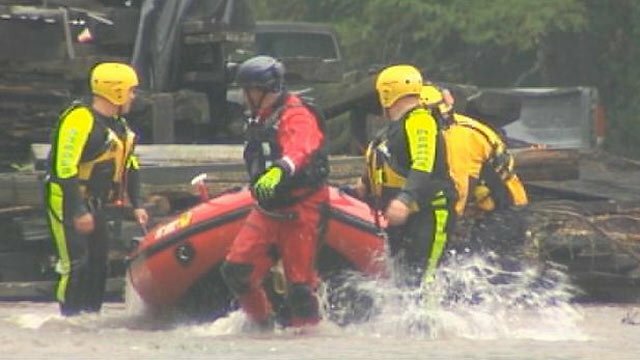 Parts of Henderson County also saw significant rainfall, leading to some flooding as well along the Green River where three people were rescued Wednesday. After 11 p.m. Wednesday, showers had diminished, leaving behind dry conditions, but that won't be the case for long. Forecasters said another 1-2 inches of rain are possible by Friday. Many places across the Upstate were hit hard, Pickens County and western North Carolina seeing a lot of flooded roads and some damage. 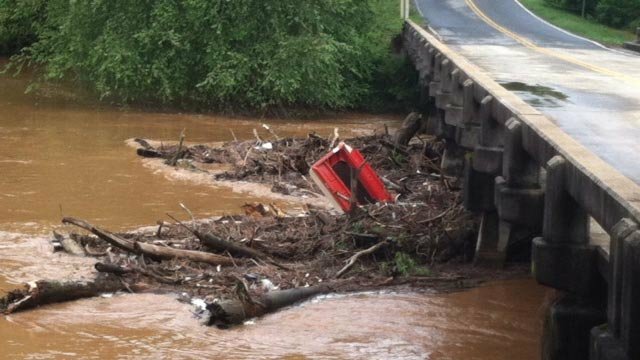 The damage and flooding left a few roads closed Thursday. In Central, Todds Creek Road is closed because of a washed out culvert. 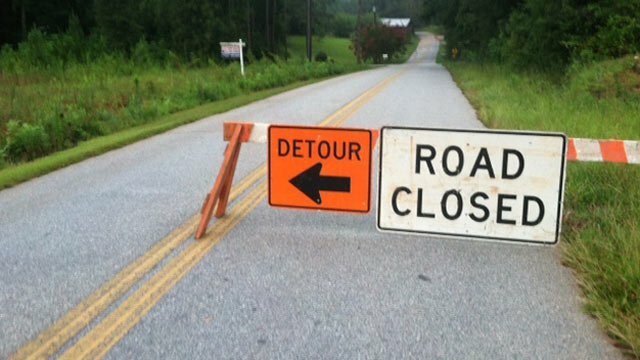 In Six Mile, Jones Mill Road is closed because of a bridge collapse and in Pickens, Silver Creek Road is closed because of flooding. Deputies remind drivers to turn around and not drive through flooded streets. Pickens County Sheriff Rick Clark said many people think nothing will happen to them, but following a Central man's death, he wants everyone to remember their cars can be swept off the road. Clark said the man's vehicle was swept off the road during Tuesday night's flooding and his body was found Wednesday night.